Arrival was my favorite film of 2016. Granted, I didn’t see every critically acclaimed film, but I did see many of them. I’m also not contending that Arrival was the most important film of the year; I’ll leave that for others to decide. Nietzsche introduced the concept of eternal return (often referred to as “eternal recurrence”) in The Gay Science, and the concept forms the underlying conceptual framework of Thus Spoke Zarathustra. It’s one of the most powerful concepts in continental philosophy, and though it certainly borrows heavily from Hinduism and Buddhism, Nietzsche’s treatment isn’t meant to articulate a physical or spiritual cosmology. Rather, he treats it as a challenge and a “burden”. While modern quantum theory has explored the cosmological relevance of the concept, the underlying “burden” Nietzsche articulated remains the central challenge, regardless of its scientific validity. Would you not throw yourself down and gnash your teeth and curse the demon who spoke thus? […] If this thought gained possession of you, it would change you as you are or perhaps crush you. The question in each and every thing, “Do you desire this once more and innumerable times more?” would lie upon your actions as the greatest weight. Or how well disposed would you have to become to yourself and to life to crave nothing more fervently than this ultimate eternal confirmation and seal? Thus we understand Nietzsche’s interest in the concept of eternal return: it isn’t, for Nietzsche, a concept of cosmological curiosity. Rather, it is a challenge aimed – as so much of Nietzsche’s work – at combatting nihilism through the ultimate affirmation of life: being willing to relive it over and over again. If you haven’t seen Arrival, you may want to stop reading at this point and come back after you’ve seen it. In other words, there are spoilers ahead. Also, you should see the film. Arrival’s Louise, played by Amy Adams, is a linguist enlisted by the military to attempt to ascertain the purpose of the arrival of 12 alien spacecrafts. As Louise begins to interact with the two aliens on board a craft that has “landed” in Montana, she begins to “recollect” interactions with her daughter. As it turns out, the visual language of the alien “heptapods” is powerful indeed; it changes the way one perceives time. This phenomenon is explained in the film via the Sapir-Whorf hypothesis, which posits that the structure of language affects a person’s perception and world view. The heptapods’ language is circular in both a visual and cosmological sense. Understanding their language is to perceive time cyclically rather than linearly. And as it turns out, the heptapods arrive on earth to share the “weapon” of their language with humanity as a quid pro quo – they have foreseen they will need humanity’s help in 3,000 years. There are several themes wrapped up in Louise’s emerging understanding of the alien language, including the value of international political cooperation, the power of language to change the way in which we perceive the world, and the relationship between linguistics and epistemology (how we come to know things). But in the end, as in Nietzsche’s contemplations of eternal return, the point doesn’t end up being about the physics, linguistics, or the heptapods themselves; the point of the film is Louise’s affirmation of life. She will “choose” to have a child she knows will die of a rare disease at a young age. The question as to whether or not Louise chooses to bear a child she knows will die at young age is one of the central questions of the film. The concept of eternal return implies determinism. If everything finite is happening repeatedly within the infinite, it leaves little room for agency; after all, everything has already happened. But that’s sort of the point: the affirmation of life means the affirmation of what has happened, is happening, and will happen, all at once. It’s a burden indeed, with no room for regret. Nietzsche wrote extensively about nihilism and affirmation. It seems to me it was the central theme of his philosophical project. He thought the most extreme nihilism was the springboard for the highest affirmation, as exemplified through the tension of “going under” in order to become the “overman” in Thus Spoke Zarathustra. 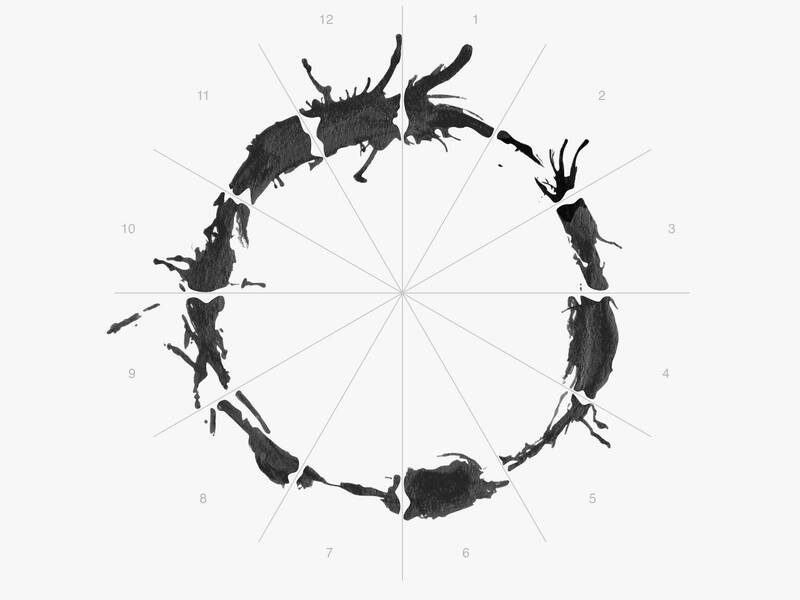 Nihilism is portrayed in Arrival not through Louise herself, but through the international community. The cynicism embodied by the international community, the lack of curiosity, the militant skepticism, and the attempts to understand via combative games, all point to a nihilistic approach to the arrival. Louise exemplifies the key tenet of The Gay Science, the title of which refers to the joy of scientific discovery divorced from utility. Louise ends up discovering a “weapon,” but her approach and her success in communicating with the heptapods derives from her curiosity and lack of utilitarian expectation. Finally, Louise’s character ends up being defined by her “choice” to affirm the life she was always going to live. Whether she chooses to have her daughter or not, she affirms having her daughter. We see her affirming this over and over again during the course of the film via her discovery of the properties of the heptapod language. And she never regrets it. After I saw the film, I thought, “What would I do?”. Perhaps that is the wrong question. The right question is, “Do I affirm what I am going to do?”. That question is much more complicated. That question is the burden. We all know what we need to do. We’ve done it before.